There are many tourist sites in Rwanda which every tourist should visit in order to change the society a little bit and get involved in various traditional activities in those sites. Aziz life experience; this is a social enterprise which is put in place to offer Rwanda’s tourists a unique opportunity of interacting with the local community and get involved in some of the Aziz life experiences which include; Traditional coffee making, Banana juice making, traditional construction, traditional cooking day, home stay experience, traditional drumming and dancing, candle dipping and hive making plus many others. From the Aziz life experiences, you will not only see the beauty of the daily life but you will also experience it and whenever you finish each experience, you will go back to the Aziz life experience head offices where you will have the highlights of your nice day. Therefore, you will not only enjoy many things from there but you will also learn many and in doing these activities, you will be hosted by one rural family where you will have lunch from there and perform everything together with your host family while you are interacting with each other like talking about your daily lives. Spending a night with them will be there pleasure too though it is not forced therefore you can decide to stay there or not depending on your wishes. In each activity you will get engaged in, a video will be captured such that you can show to your friends and relatives how joyous your trip was. IbyI’wacu cultural village; a visit to this village is something you will never forget because you will enjoy many activities from there including traditional dances, poems, songs, dressing codes, drumming which is done by local fantastic drummers thus a tourist will come to know the culture of Rwanda in that site. From this site, still a tourist will come to know many other things like the healing of the ill local people whereby they use local herbs for curing the ill and sick individuals without spending any single coin of money for buying tablets and for injections. 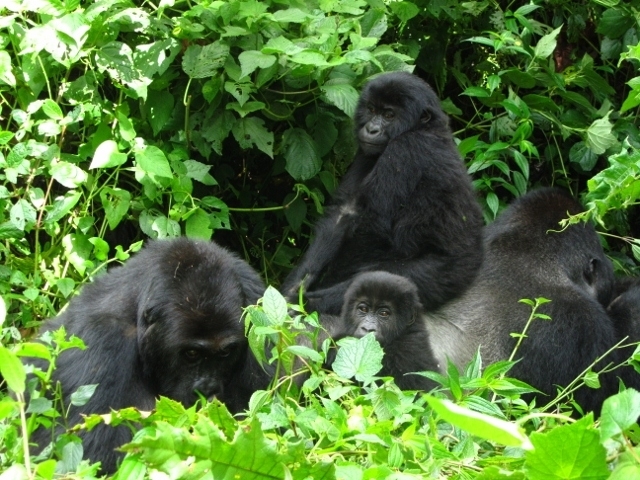 The site is also surrounded by Virunga National Park in Democratic Republic of Congo and Volcanoes National Park in Rwanda thus having a brilliant and beautiful sight to them. Rwesero art museum; the site is found in the palace of King Mutara 111 Rudahigwa and it is the most attractive site in that area due to its contemporary paintings and stylistic scriptures which represent for unity and brotherhood in Rwanda. The museum consists of many things that you will have to look at and the site is one of the things that have united Rwanda and from there you will be allowed to take photos or even videos for a remembrance of this great site. Bugesera reconciliation village; during the nasty 1994 genocide, a thousand of people lost their lives thus resulting into discriminating of people from different families. During this time, properties of people like lands, homes and many others were also destructed and the survivors were left hanging with nothing to start with. Therefore, the government of Rwanda decided to put up this site in order to bring together the 1994 genocide victims such that they reconcile and live a second happily life. Therefore, for any tourist who will travel to this site, he/she will hear the touching and misery stories of these people where they will be narrating to you everything that happened during those days where they lost their relatives and friends. Thus, leaving the site with a great experience and you would have learnt much of Rwanda’s culture. Genocide memorial sites; you can also decide to visit any one of the genocide memorial sites which were set up by the government and it is where the bodies of the fallen genocide victims were buried in. They were buried in transparent graves thus providing a clear view to the tourists who make it to those sites. In any of those sites, there are videos which are displayed to clearly show you each and everything that happened during that time. These genocide sites include; Ntarama memorial site, Nyarubuye memorial site, Bisesero memorial site, Gisozi memorial site, Gisenyi memorial site, Murambi genocide site and Nyanza memorial site. Nyamata church; During the 1994 genocide time, a thousand of people rushed to the Nyamata church thinking that assassins might respect the house of God and don’t attack them of which their expectations were all wrong in that they were still ambushed and were all killed without sparing anyone. Therefore, this is a scene where these innocent people were killed from and visiting this place is like paying tribute and respect to these innocent citizens who were harshly killed and you will also need to pray to God for their souls to rest in peace and be judged fairly. Ndaba rock; the mystical history of this rock is one of the reason that drives many tourists to take a detour to it after visiting any one of Rwanda’s national park. The rock is just a 2 hour drive from Kigali city thus being suitable for you to access it easily. In the past, people used to collect honey from it especially the local citizens an act which was done by one individual who was picked randomly by the entire society. This person could climb to the summit of the rock being helped by his fellows in that he should have collected the honey and brings it back for sharing with his fellows. However, history states that one day there was a mysterious disappearance of a certain individual who was too greedy that once he climbed the rock for collecting honey, he decided to eat the whole honey which he had collected without serving to his fellows. This rock can be bypassed on your way back to the Kigali international airport for a flight back to your homeland.